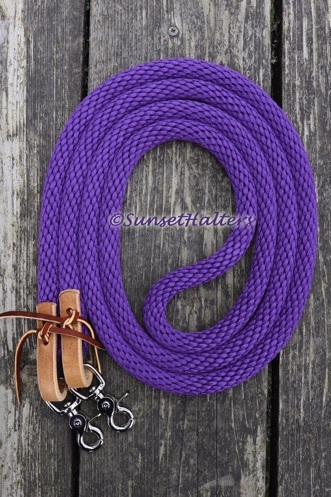 This rope is top quality derby rope made in America- not China. Because it's higher quality, it has a tighter weave, making it a bit stiffer. It's mildew and rot reisistant. 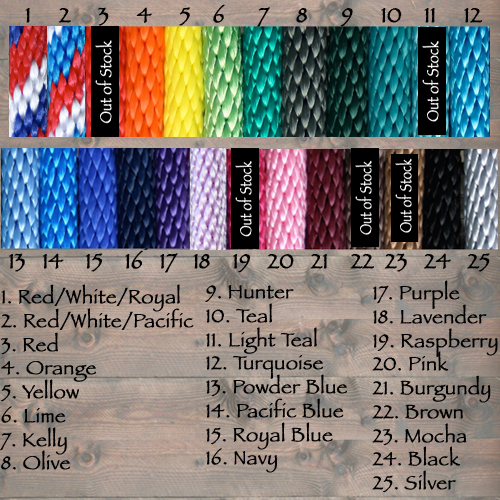 And it's available in a ton of great colors shown below. Like slobber straps, water tie ends add a bit of weight to your reins, and also protect them. These can be used with shanked bits, as well as ring bits. To have your initials stamped on your water tie(s), click here.